It is oil that gives life to the engine of your Mazda car or truck, and without this lubricant, you may find an engine that will no longer work at all. The oil flows throughout the engine from the initial input area all the way through all the moving parts and back again. The oil is responsible for engine parts moving smoothly without friction. This means the engine on your CX-9 does not have to work as hard to run, and you get better gas mileage. Oil completes its cycle by running through the oil filter, which is made to filter out impurities that the oil may pick up on its trip through your engine. The oil is cleaned and sent back through again. The best way to keep your engine running clean is routinely change your oil and oil filter, so there is less wear on your engine. Other parts of the oiling system consist of hoses, caps, dipsticks, couplings, gaskets and other parts that hold the oil in the vehicle. When it comes time to replace these parts, you want to put OEM Mazda parts on your car because they are exact fit replacement parts. 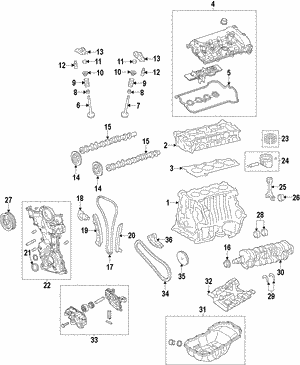 With an exact fit part from RealMazdaParts.com, you will not need to worry about whether a gasket is fitting tight enough, or that there may be an oil leak. Everything will perform as it should, and you will go back to getting great fuel mileage.